As a young boy growing up on the streets of Kumasi and Accra, I would often see many businesses – small, medium and sometimes even large ones – bear similar inscriptions like these in front of their shops or offices: “Adu Brothers”, “Gyamfi & Sons” and “Ofumtuo Enterprise”. After 20-plus years, where are these businesses? Your guess is as good as mine – closed, insolvent, no more existent! The situation described above is not peculiar to Ghana as it is a common phenomenon in West or Sub-Saharan #Africa, in other parts of Africa and globally especially with regards to SMEs. If I were to ask for reasons why these businesses failed, there would be many answers – some interrelated, others not. However, I choose to draw on my years of #business and #credit #analysis and have since arrived at one conclusion for this predicament, Key-Person(s) Risk. Key-Person(s) Risk is simply the risk of collapse or insolvency associated with a business (as an entity) been reliant or dependent on one or few persons because him, her or they – and him, her or they only – know, understand and can articulate the inner workings of the business. Many SME businesses globally suffer from this fate and this is why #startups on the #African continent need to adopt the “Collaborative Project” business model as a means to having more sustainable businesses on the continent. A Collaborative Project, brings together two people or a group of people who work together on a challenge, theme or question or who contribute to a compilation of materials or solutions in relation to the prior. Some collaborative projects engage a substantial number of groups in fairly free-flowing interaction; some are more structured. While some projects a planned life of limited duration, others are on-going with, perhaps, an annual calendar of project stages. – Adopted from iEARN‘s definition. 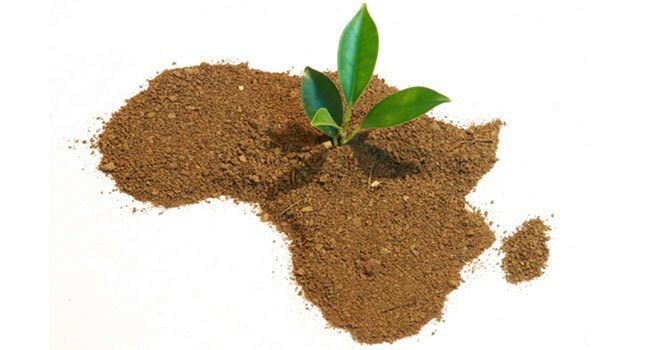 I suggest that African start-ups adopt this business model because many African #entrepreneurs often seek to receive to the sole recognition for the success and/or achievement of their businesses. This is often also, the Achilles’ heel in the #sustainability of their business and thus leading to their eventual collapse, closure andinsolvency. But one would ask that, of the many business models that exists, why the collaborative business model? The #business #model ensures that one person or group of persons is not the “be all and end all” of the business; this often has been the bane of the most businesses, especially start-ups. The secret or success of this model simply lies in its name, #Collaboration. Thus, sharing ideas and insights with members of the team and getting buy-ins ensure that almost all members of the team know the inner working of the business and this helps in the area of succession planning. This business model ensures that start-up businesses are run as projects which ensure some level of efficiency with respect to #time #management and #resource #planning & #management – aspects that naturally lend themselves to the discipline of #project management. Lastly, this business model, whether admittedly or inherently, has been the secret of some the leading local and global businesses and brands like Nandimobile, #Apple, #Google, #Sony, #Hewlett-Packard, #Oracle, #Nike and many more, even #Facebook. After all, no one man is the repository of all knowledge. So don’t be afraid of people stealing your business ideas – some may win with your ideas, others won’t. So involve other people to get more ideas, fresh perspectives, encouragement, criticism and even discouragement. But most of all, involve people who already buy into (or are willing to buy into) your vision, share your business philosophy(ies) and will also go the extra mile with you to grow the business from a start-up and survive the first critical years and stage of your business’ development. So like all things in life, this advice may work extremely well for some and won’t work well for others. So tell me, what business model would you #advice for an African start-up? If you also started a business, what business model did you employ and how did I work for you? Please share your responses with me in the comments section below.